Apple iPad - Techno Toy or Weapon? Apple iPad: Toy or Weapon? Now that the Apple iPad is shipping, I wonder if it is yet another techno toy for the Mac fanatic that has one of everything Apple makes? Or is it a truly useful weapon in the techno warrior's arsenal? Or is it the epitome of the human-computer interface? I once heard Jean-Louis Gassee give a lecture in Boston where he discussed the various factors in the interface between the human and the computer. He stated that, ideally, it should be multi-modal -- visual, auditory, tactile, and gesticular. It seems to me the essence of the iPad is that it achieves that goal better than any product Apple has produced thus far. The difference between using a MacBook and using the iPad is like the difference between taking a class on art history and a class in finger painting. It's like the difference between playing Chinese checkers and playing Twister. 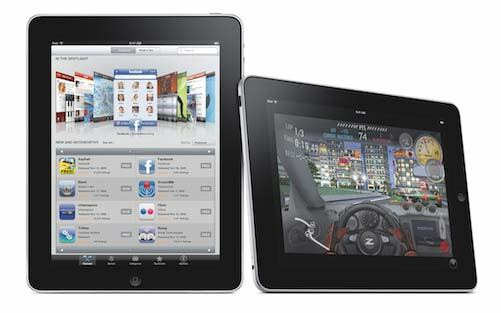 As a student of human interface design, I'm fascinated with the iPad on the purely theoretical level. So color me enthused. 1. What advantages does the iPad have over an iPhone 3GS? It has a faster, more advanced processor. It has has IEEE 802.11n WiFi. The iPhone has IEEE 802.11g. It has a longer lasting battery for both WiFi and 3G usage. Top model has more storage capacity. 2. What advantages does the iPhone 3GS have over the iPad? It has It has a camera that records stills and video (and can scan barcodes). 3. What advantages does the iPad have over the MacBook Air? It has a touch screen instead of a touch pad. It has more apps to choose from. The WiFi model has a digital compass. The 3G model has assisted GPS. It weighs half as much. It costs half as much. 4. What advantages does the MacBook Air have over the iPad? It has an iSight camera. It has a larger, higher resolution LED-backlit LCD display. It has a faster processor. It has more storage and more RAM. It has an external SuperDrive option. It has a mini DisplayPort that supports the 30" Cinema at 2560x1600. 1. An iSight camera so we can iChat (or put it on a pivot so it can take photos and video of someone besides me). Those added features would move it closer to achieving the concept of the Knowledge Navigator. SHOULD YOU GET THE WIFI or WIFI/3G VERSION? We bought the WiFi "only" model primarily because we wanted to test it and report to you as soon as possible. But do you really want or need 3G? What if Apple offers a 4G model next year? What if you could have a 4G iPad right now? Read on. Long story short. the iPad WiFi averaged as high as 4500Kbps download speeds during our most connection speed testing using the 4G Overdrive. (Your speeds will vary depending on various factors such as signal strength, server speed, server load, etc.) The Overdrive is a compelling solution for situations where access to land based hotspots does not exist or is password protected. For example, yesterday we visited the Borders Bookstore with free, but very slow WiFi. Then we went to a restaurant with WiFi but they would not give us the password. In both cases, no problemo. We just whip out the Overdrive and rock'n'roll. The Sprint 4G $60/mo service is more expensive than AT&T's 3G "unlimited" $30/mo plan for each iPad, but remember you are paying more for more speed. And the Overdrive supports up to 5 devices. That translates to $12/mo per device. CORRECTION: Sprint's 4G service is truly unlimited (no hidden quota). I'm told AT&T's 3G "unlimited" service is also without the reported 5G/month quota. Though many of you are holding out for the iPad WiFi+3G, be warned that it is not a panacea. I had a situation recently where I could not get a good 3G signal on the iPhone 3GS nor was there a WiFI hotspot nearby. Overdrive rescued both devices. If I weaken and get the 3G iPad, I might just keep the Overdrive around as a "security blanket." One side advantage of the 3G iPad is the cell tower assisted GPS. Though the WiFI iPad has only the digital compass and WiFi to find your position, my experience so far is that it works well. And if I want a "second opinion," I have a iPhone 3GS -- just like most of you. 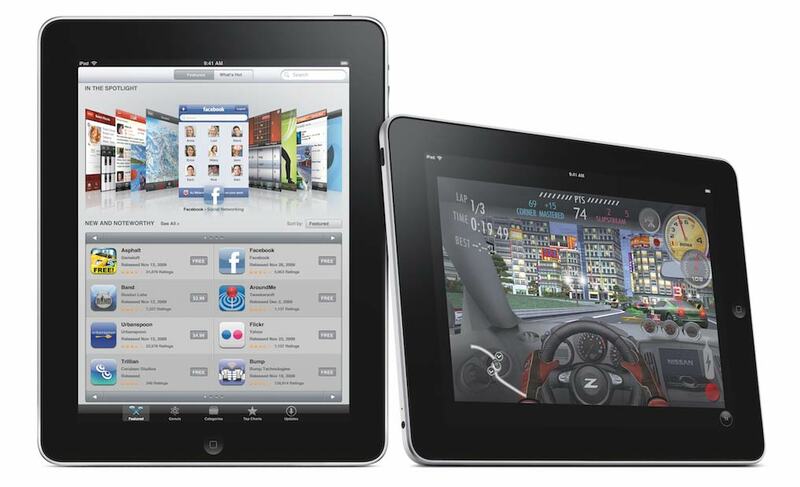 What iPad native apps dazzled us. One such example is the "Camera for iPad" that makes the iPhone camera a Bluetooth slave device to the iPad. What iPad accessories we have to have (including our favorite sleeves and folios). See Jony Ive, Scott Forstall, and Bob Mansfield talk about the design and engineering of the iPad.